Does your dog run for the hills when he hears thunder? This is not uncommon, but mild cases of anxiety can be resolved. When a dog is a puppy, expose him to storms, fireworks, loud sirens cars and horns. Don’t make a big deal when he jumps, but if remains calm, reward with treats. Be sure the dog is on a leash when doing this as to not have him run and perhaps get injured. If the dog is older, and has had this issue, try thundershirts, and provide a safe place for him to go, An open crate, quiet room or a basement. Let him decide . If stays calm, reward, do not do not cuddle or console the dog as he will continue the behavior just to get attention. You want to break the habit. 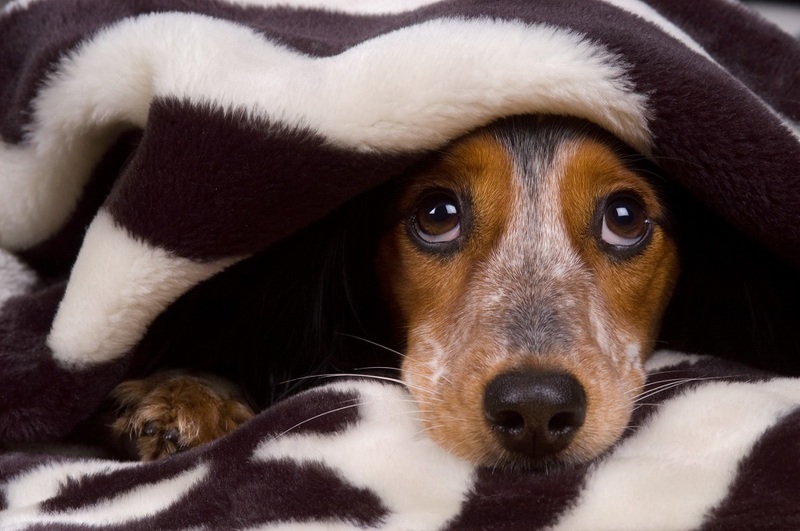 If the dog has a severe case or anxiety, your vet can provide the best treatment, just always be sure the dog is safe when a storm approaches. They can panic and take off and get lost, or get injured. During the winter months put thunderstorm cd on low, when your dog does not react, reward, slowly increase the volume and reward each time he stays calm. By the time the storm season hits it will not be any big deal! You can also get your dog a pet massage, or give him calming treats. These can work in mild cases, but ALWAYS consult your veterinarian before hand. Many dogs can be relived but in some cases they can never adjust, so do your best and find what’s works and you and your dog can weather any storm together! !